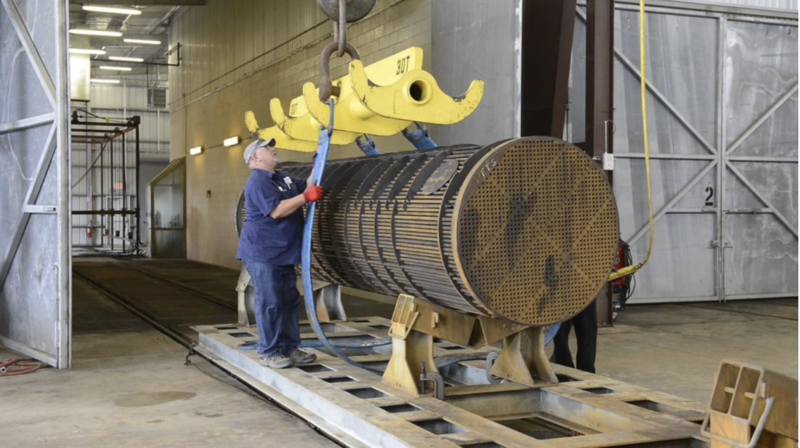 Cleaning of heat exchangers, filter pots, extruders, and other types of process equipment is typically done through mechanical means with the use of pressurized water (e.g., hydro-lancing, hydro-blasting). However, there are situations in which a process known as pyrolysis, or thermal decomposition, a technique that utilizes heat rather than water to break down foulants, might be more effective than these traditional cleaning methods. While this is not a replacement for the use of mechanical processes, it can be a good solution in cases of problematic hydrocarbon fouling when conventional techniques are no longer feasible. heat soaking in the absence of oxygen. Kyle Dunn at Dunn Heat Exchangers, Inc. Very interesting article. however I still find... Log in or register to read the rest of this comment. Thank you for the interest. While thermal... Log in or register to read the rest of this comment.